Maccabee Arms specializes in the "Made In Israel" line of fine weapons produced by Israel Weapons Industries (IWI) (formerly Israel Military Industries, IMI) and in use by the Israel Defense Forces (IDF). These include the world renown Desert Eagle, Jericho (Baby Eagle) and the Barak (SP-21). We also sell firearms made by the other top manufacturers in the industry. In addition to new pistols, rifles, and shotguns, we carry a selection of pre-owned firearms that meet our highest standards. If the firearm that you want is available, we will find it and offer it to you at the best possible price. Maccabee Arms Ltd. is a stocking firearms business and internet firearms dealer who strives to sell quality, name brand firearms at reasonable and affordable prices. MORE THAN 1,200 people -- Muslims and non-Muslims alike -- flocked to the Hyatt Regency Hotel in Dearborn, MI for the Council on American Islamic Relations (CAIR) of Michigan’s annual fund-raising banquet, dubbed “One Nation Under God.” This year’s event featured critically acclaimed British author and journalist Robert Fisk as a keynote speaker, and Bill Gallagher, an Emmy Award-winning news reporter with Fox 2 Detroit News. Fisk, a resident of Beirut, Lebanon for nearly 30 years and the Middle East correspondent for the UK’s The Independent, delivered a powerful and sometimes humorous address on the Middle East crisis, the injustices committed daily, and media bias. After discussing Iraq, Iran, and the divisions between Muslims, he turned to the U.S. and British administrations, Western interference and conspiracies in the Middle East. “I tried to calculate for an article just how many Western soldiers were in the Islamic world today compared to the 12th century Crusades,” said Fisk. “There are 22 times more Western soldiers in the Islamic world today than Crusaders had in 1187,” he noted. “I have said this equation before in Detroit: ‘the Americans must leave Iraq and the Americans will leave Iraq, and the Americans can’t leave Iraq.’ That is the equation that turns sand into blood,” Fisk warned. As he recounted numerous astounding reports by such journalists as Thomas Friedman, Daniel Pipes and David Brooks, the crowd tried to stifle their laughter and gasps. Fisk lampooned USA Today writer Ralph Peters, a retired U.S. Army officer, who wrote about why he supported the invasion: “I supported the removal of Saddam Hussain. I believed that Arabs deserved a chance to build a rule-of-law democracy in the Middle East. Based upon firsthand experience, I was convinced that the Middle East was so politically, socially, morally and intellectually stagnant that we had to risk intervention—or face generations of terrorism and tumult. I still believe that our removal of Hussain was a noble act. In his compelling conclusion, to thundering applause and a standing ovation, Fisk stated: “Ladies and gentlemen, you know, I was struck when I listened to Barack Obama (D-IL) when he told his supporters that America’s primary concern in the Middle East is the security of Israel. He was wrong!” exclaimed Fisk. “America’s primary concern in the Middle East must be the security of all who live there, including the Israelis; Muslims, and Christians, as well as Jews, Arabs as well as Israelis. Organization: Maccabee Arms Ltd. Reno, Nevada, U.S.
* YOU HAVE BEEN DULY RECOGNIZED FOR... THE CHARLATAN, BUFFOON, VULGAR NONDESCRIPT CRETIN, COLLABORATIONIST, FIFTH-COLUMNIST, AND QUISLING YOU ARE. YOU ARE MOTIVATED ONLY BY SELF-AGGRANDIZEMENT AND YELLOW JOURNALISM. CERTAINLY THE PHRASE "JOURNALISTIC ETHIC" IS BEYOND YOUR COMPREHENSION. CONCEIT, EGOTISM, AND SOCIOPATHY ARE YOUR ETHOS. Shalom to you too, Bill. That means "Peace", right? And by the way, there's a difference between "liable" and "libel" ... but it doesn't matter, really ... because we're not all buffoons, and your credibility would be shot even if you could spell. 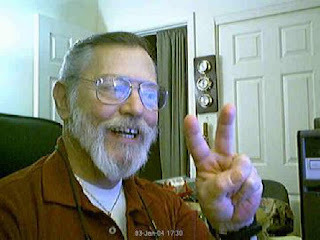 So Shalom and good riddance to you, Bill Maniaci, Vietnam vet and Israeli weapons dealer ... oops! I almost forgot -- Peace is Bad for Business when you're an arms dealer, isn't it? Well then let's scratch the "Shalom" and stick with the "Good Riddance"! 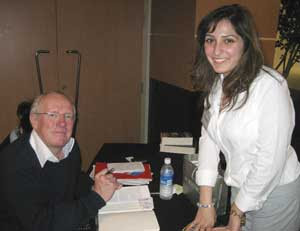 Still, it's no wonder Robert Fisk says he despises the internet. It's an ignorant and offensive thing to say, and it shows that he doesn't read the right stuff, but I can still understand why he would say it. Could the connection between hateful lies and good business acumen be any clearer? They just keep telling all these vicious. murderous lies ... because it's good for business!. Get your guns and ammo here. Get some Shalom too.